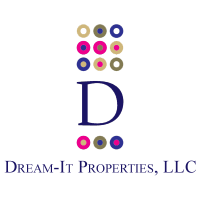 Dream-it Properties has been helping homeowners from distressed situations since 2008. At that time, housing prices took a nose dive, the stock market was in a crisis, corrupt banking created upside down mortgages and bankruptcy were all contributors of a failing housing system. Today, my team and I continue to help clients and become your problem solvers. Real estate is a people business, and you, as our client, are what’s most important to us. Whether you’re trying to sell, buy, rent, or repair your credit so that you can do any of those, real estate can be a confusing, overwhelming, and disappointing endeavor.​ However, it really doesn't have to be painful. When you have the right education and honest people on your team, real estate becomes something that’s working for you. We’re here to simplify your life, so you can spend less time worrying about real estate and more time living. As experienced real estate professionals, we buy and sell property across New Jersey with the primary intent of creating positive outcomes for people in problematic situations. Our job is to make your life easier, and because we are investors, we have the flexibility to offer you multiple solutions when selling property. We believe that everyone should be able to sleep well at night, and, as investors, we have options that traditional sellers do not. We take pride in creating relationships that last, and provide a customer service experience that is tailored to you. Helping you find a desired solution to your problem is our specialty. Our Mission is to service our customers by creating and delivering a quality service which is unique and valuable.